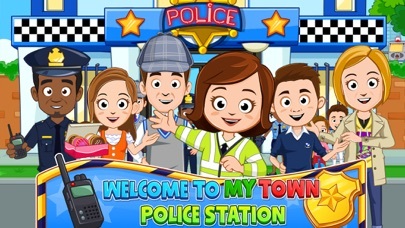 My Town: Police Station is a great free-play app that allows children to explore and play with various characters and items within the police station. Fun, interactive, and easy to use. 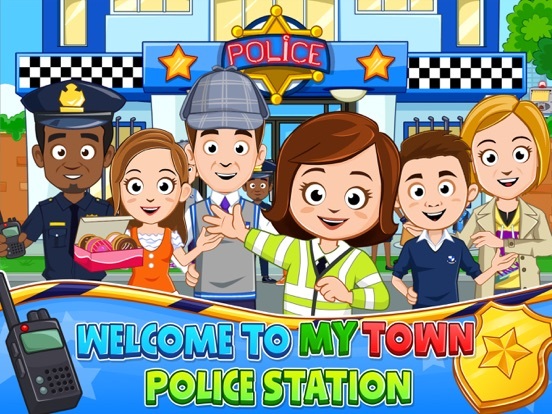 My Town: Police Station is a cute app that allows children to explore everything there is to know about the police station. 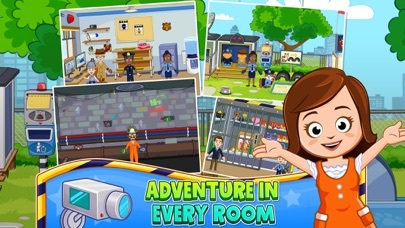 With various characters, rooms, and items that can be found in the Police Station, players can create their own scenes and experiment with lots of fun sounds and items. 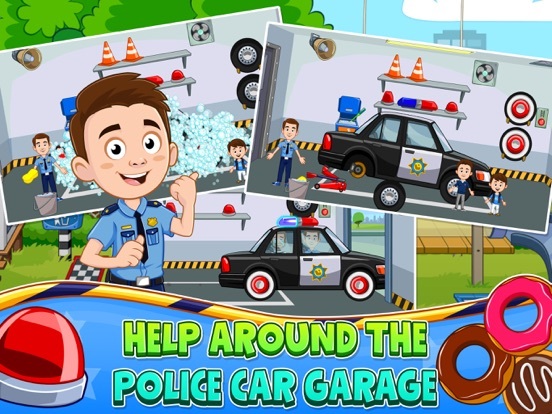 My Town: Police Station is full of great illustrations and fun sound effects that children will enjoy as they explore the Police Station. Within each of the five areas to explore, there are a number of interactive images like the garage door, phone, water cooler, alarm, and so much more that children will enjoy. These interactive bits help to keep children engaged and entertained as they play. The user interface of this app is simple as it uses simple tap, drag, and drop functioning making it easy for young children to use and enjoy. 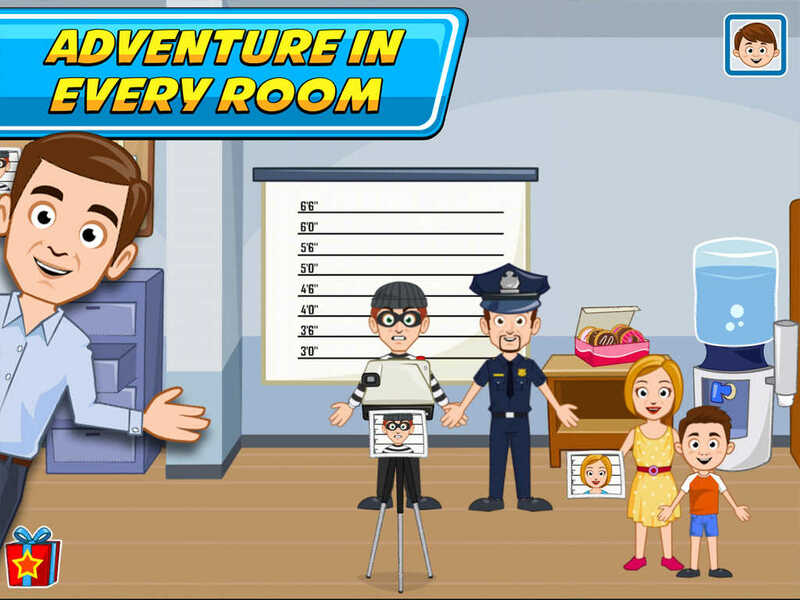 Not only are children going to get the chance to experiment and explore the Police Station, but they can also create their own scenes with officers, crooks, and others. 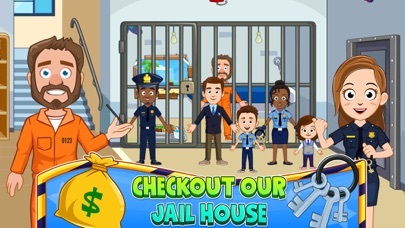 Everything from taking an urgent call to booking a bad guy is included in this app and kids are going to love this app. In addition to the free play function that allows children to play on their own, there is also a ‘game’ of sorts included. The more players explore the station and interact with the various items like walkie-talkies etc. there are hidden hearts to be found. Once players collect seven hearts, they get to choose a new fish to be added to the fish tank as their reward. 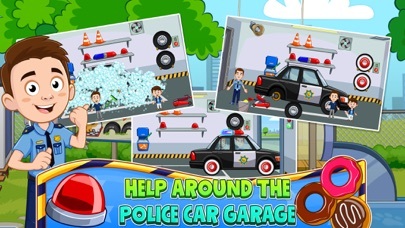 While simple, this additional game does add a bit more entertainment to the app which is great for young users. Priced at just under three dollars this app isn’t one that will break the bank. 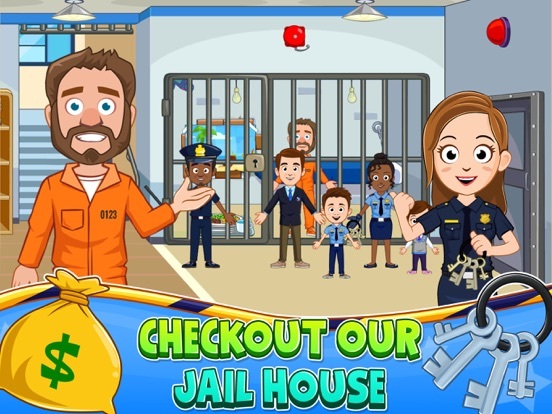 While it doesn’t have a ton of extras in terms of additional activities and games for children to enjoy, the free-play set up allows players to move through the app on their own. 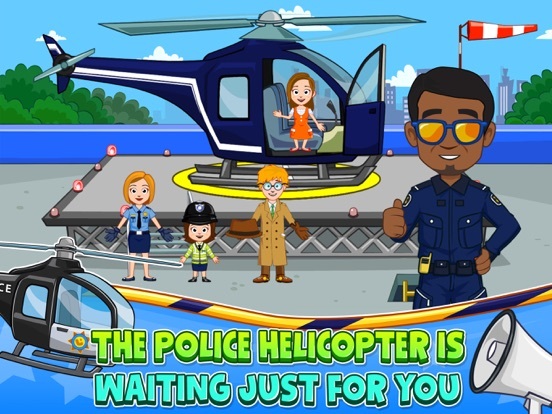 With that said, this is likely one app that will become a family favorite especially for little ones who love the police etc. 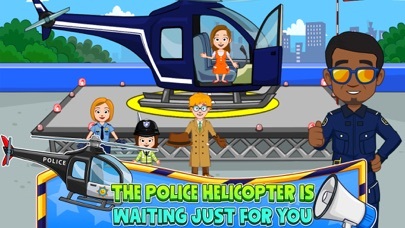 Not only have the developers done a great job keeping this app easy to use for children of all ages, but they have also ensured that it’s safe for little ones to use too. 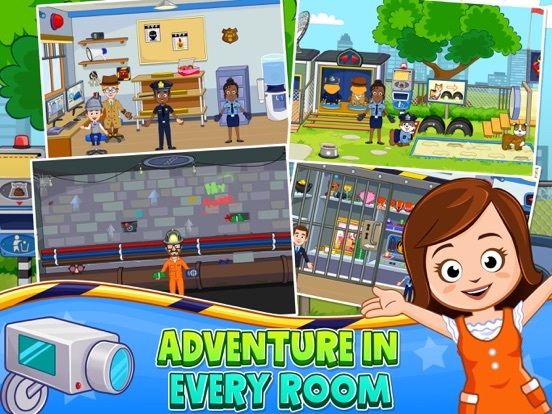 Without a ton of instruction or help, children can move freely through the app and explore the police station as they see fit. There are some parents only areas that are protected which is great too. Equestria Girls is a fun app that will encourage little girls to fantasize about growing up into high school. However, parents should be aware that though the app is free, there are many places where in-app purchases and/or purchases of My Little Pony products are required to progress in the game. Spelling Stage is an engaging app that makes spelling practice as much fun as it can be! With a paid subscription, it offers a wide range of words that will be suitable for everyone from preschoolers through adults and makes a great practice tool for an amazing array of situations. Wonster Words Learning is an outstanding phonics and spelling practice app that will help young students develop understanding and internalize common spelling patterns that will help them memorize familiar words and learn to decode new ones. It’s fun and entertaining as well as very solid educationally speaking.